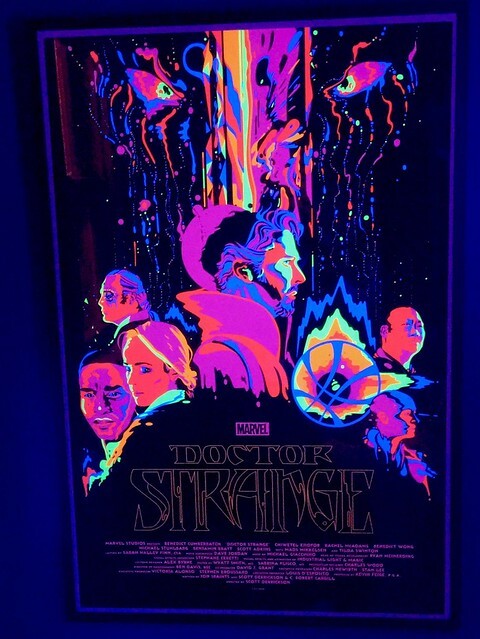 A blacklight poster for Doctor Strange, the movie! Takes you back doesn't it? There were a series of blacklight posters for Doctor Strange in the early 70s, take a look here to see those. I wouldn't mind buying one of these, apparently they are not for sale - only 100 were made and presumably given out to cast / crew. Nuff Said! Celebrities are always in the public eye whether they like it or not. It is as if their lives are always in the limelight where the public scrutinizes their every move and participates in each aspect of their lives, no matter how private and personal the occasion it may be.